Inspired by the negative results in the recently published largest-scale analysis of the relation between population density and positions in geographic ranges and environmental niches, Drs Jorge Soberon and Andrew Townsend Peterson of the University of Kansas, USA, teamed up with Luis Osorio-Olvera, National University of Mexico (UNAM), and identified several issues in the methodology used, able to turn the tables in the ongoing debate. Their findings are published in the innovative open access journal Rethinking Ecology. Both empirical work and theoretical arguments published and cited over the last several years suggest that if someone was to take the distributional range of a species – be it animal or plant – and draw lines starting at the edges of the space inwards, they would find the species' populations densest at the intersection of those lines. However, when the team of Tad Dallas, University of Helsinki, Finland, analysed a large dataset of 118,000 populations, equating to over 1,400 species of birds, mammals, and trees, they found no such relationship. Having analysed the analysis, the American-Mexican team concluded that despite being based on an unprecedented volume of data, the earlier study was missing out some important points. Firstly, the largest dataset used by Tad and his team comprises observational data which had not required a certain sampling protocol or a plan. Without any standard in use, it is easy to imagine that the observations would be predominantly coming from people around and near cities, hence strongly biased. 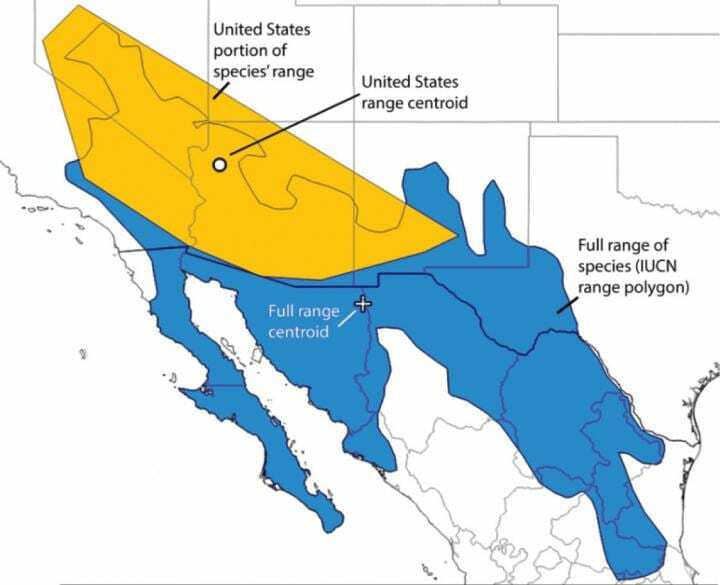 Additionally, the scientists note that the analysis largely disregards parts of species' geographic distributions for which there were no abundant data. As a result, the range of a species could be narrowed down significantly and its centroid – misplaced. Meanwhile, the population would appear denser on what appears to be the periphery of the area. Similar issue is identified in the localisation of populations in the environmental space, where once again their range turned out to have been represented as significantly smaller, when compared to data available from the International Union for Conservation of Nature (IUCN) and the Global Biodiversity Information Facility (GBIF). Further, a closer look into the supplementary materials provided revealed that the precision of the population-density data was not scalable with the climate data. As a result, it is likely that multiple abundance data falls within a single climate pixel. In conclusion, the authors note that in order to comprehensively study the abundance of a species' populations, one needs to take into consideration a number of factors lying beyond the scope of either of the papers, including human impact. "We suggest that this important question remains far from settled," they say.